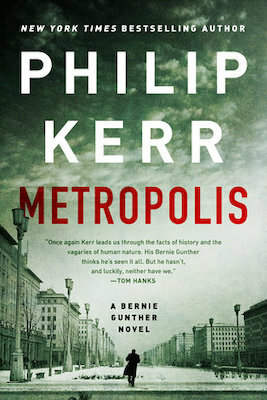 The following is an exclusive excerpt from Metropolis, published posthumously after Philip Kerr’s untimely death in 2018. Sardonic Bernie Gunther is in his earliest days on the job as a detective for Berlin's murder commission, searching for a killer among the underground gangs, and surviving a brutal and unforgiving summer in a city edging toward Hitler’s reign. Mathilde Luz was a good-looking girl all right and still wearing the clothes she’d been murdered in: the hat, the coat, and the dress all from C&A, but no less becoming for that. There are some girls who manage to wear cheap fashion and make it look good and Mathilde Luz was one of those. The police report noted her perfume was 4711, worn in the kind of quantity that made you think it served to disguise rather than allure. The report also stated she was dark, with large brown eyes and lips the same red as her nail varnish. Her face was powdered dead white; at least I thought it was powder. It might have been that way just because she was dead. “That’s right. Sometimes my darling husband worked a late shift and came and found me just to take what I’d earned so he could go and buy himself a beer or two. Franz was thoughtful that way. He told me he was looking out for me, like a proper Alphonse, but I knew different. For some reason, I couldn’t bring myself to think of the murderer as the Silesian Station killer. I knew Gennat felt the same way and so long as Weiss wasn’t around he always called him Winnetou; everyone did, and I was no exception. “No. I—we always wanted a baby. Not that we could have afforded one.” She wiped away a tear and was very quiet for a moment; and then she was very quiet forever. From METROPOLIS. Used with the permission of the publisher, Putnam. 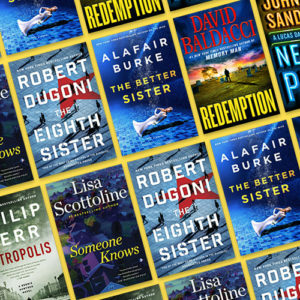 Copyright © 2019 by Philip Kerr.